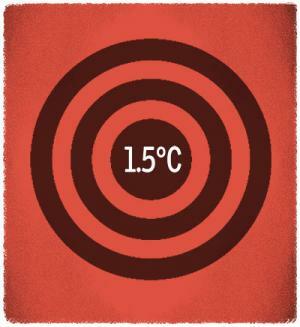 The much awaited report, Gobal Warming of 1.5oC, was expected to jolt governments into action and announce some bold commitments to cut greenhouse gas emissions. The report by the Intergovernmental Panel on Climate Change (IPCC) warns about the catastrophic impacts of climate change if global warming exceeds 2oC above pre-industrial levels, and makes the strongest case to limit it below 1.5oC. But nothing remarkable seems to have happened since. Countries are proceeding, at both national and international levels, as if nothing has changed since 2015, when the historic Paris Agreement was signed. The Agreement seeks to hold the rise in the global temperature to well below 2°C and pursue efforts to limit the rise to 1.5°C. To help achieve the target, countries in the lead up to the Paris Agreement had declared their Nationally Determined Contributions (NDCs), or domestic action plans to address climate change. But Climate Action Tracker, which is a collaboration of three research organisations, says the aggregate effect of NDCs, even if they are fully acted on, takes us well past 2oC. The IPCC report says current NDCs would result in 3.5oC rise by the end of the century. To stay on the right side of the threshold—IPCC estimates the world has only 12 years before it runs over the 1.5oC carbon budget—we need a 45 per cent reduction of global anthropogenic CO2 emissions by 2030, and a further reduction to net zero emissions in 2050 (both targets take 2010 emission levels as a baseline). This requires rapid and far-reaching transformations in our economies and commitments to start the transformation now. The 24th Conference of Parties (COP24) in Katowice, Poland, which will be held from December 3 to 14, offers the perfect platform to initiate this transformation. COP24 is likely to be focused on the Paris Rulebook, which would set out the guidelines and rules needed to implement the Paris Agreement. It is expected to prompt countries to scale up climate action. But can it be achieved without targets? Currently, countries are required to update their NDCs in 2020. Analysts say revision of NDCs needs to start at Katowice if the world is serious about staying below the 1.5oC target. Civil society pressure to make the 1.5°C target a priority is increasing, particularly in developed countries. A report by the European Capacity Building Initiative, an initiative in support of international climate negotiations, confirms the wide acceptance that climate efforts before 2020 are seen as vital to reducing global emissions. A newly formed civil society group, The Extinction Rebellion, had a thousand of its members protest in front of the Parliament House in London in October, issuing a declaration of civil disobedience as a means of drawing attention to the unfolding environmental crisis. Thomas Hale, professor of climate policy at the University of Oxford, UK, says, “The groundswell of climate action from sub-national governments, the private sector and civil society has reached a massive scale, creating big opportunities which were not available a few years ago, for governments to step up their own pledges”. A report by research groups, Data-Driven Yale, NewClimate Institute and PBL Nether- lands Environmental Assessment Agency, says if current initiatives by individual groups continue to scale up, they could curb emissions by a third before 2030. These, says Hale, combined with stepped up NDCs can put the world on the 1.5°C pathway. This pressure needs to translate into increased ambition in NDCs in Katowice. There is an avenue available to push for this. Talanoa Dialogue, initiated at COP23 in 2017, is a year-long consultative process to take stock of the collective efforts to reduce emissions. It will culminate in Katowice with countries pledging to raise the ambition of their respective NDCs. However, past experience shows countries tend to postpone negotiations. Increasing ambition has become an “after you, please” topic in international negotiations. This approach is often presented as the desire for equity for the impoverished. While this argument is often made stridently at home and abroad, the fact is these are the people who bear the maximum brunt of climate impacts. To refuse to raise climate ambition citing the need for development is to shoot oneself in the foot. The two aims are not contradictory. As Benjamin Schachter, Focal Point, Climate Change and Environ ment, at the Office of the UN High Commissioner for Human Rights (OHCHR) says, there is a link between climate action and the success of Sustainable Development Goals, which is why the international community must take the most ambitious climate action to protect human rights, health and welfare. “Failure to take urgent action now clearly breaches human rights obligations,” Schachter adds. Action should be taken in both developed and developing countries. Rahul Tongia and Sahil Ali, researchers with think-tank Brookings India say, India requires better frameworks aimed at deep decarbonisation in energy and other sectors. Though decarbonising the power sector is easier than other sectors, this has limits; variable renewable energy needs large-scale storage solutions. Tongia and Ali say India should thus employ integrated strategies around urban development and land-use, preserve and enhance carbon sinks, and implement sustainable transportation systems. Countries will also face challenges in raising ambition from groups which do not have an incentive to transition. Hale says there is a “need to find strategies to neutralise opposition from those actors most dependent on fossil fuels”. This requires both pressure to show them the status quo cannot last, and engagement, to help them find a new low-carbon future, he adds. Equally important is a strong signal from the top. Last three years have seen the spirit of Paris Agreement chipped away by defections, underwhelming commitments from key players and dubious commitment records. If Katowice is to revive the spi rit, it must start with seriously pursuing efforts to limit warming to 1.5°C. (This article was first published in the 1-15th December issue of Down To Earth).